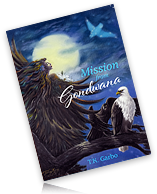 “Mission from Gondwana” (崗亙納之約-作者謝勤-Author:T.K Garbo a pseudonym for Tse Kan） is an ecological fable, it refers to the history of human development of Erectus and earth evolution of Gondwana split. 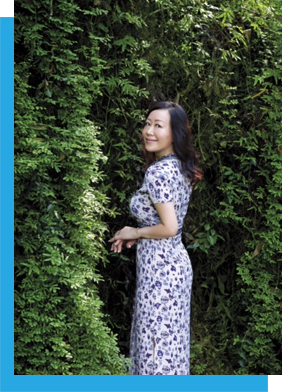 With magic and fictitious plots, this novel will take readers to the wilderness to experience the cruelty of survival and the sadness of life. The fear and nightmare, the healing of love and happiness of being blessed – a mixed feeling tell the legend true to life, but more than the life could be. The novel brings to life an array of characters — birds, a shaman and a wizard, sprites and reincarnated beings & humans. It is an avian epic spanning the ages. A musical from primordial times to modern day. This is a sad story about the migratory, straggler and resident birds, and more like an epic music drama belongs to birds only. Despite myriad changes, the promises have never been forgotten. Despite myriad changes, only love has never altered.